Yaay… It’s Friday. Happy Friday friends and hope your week was lovely. 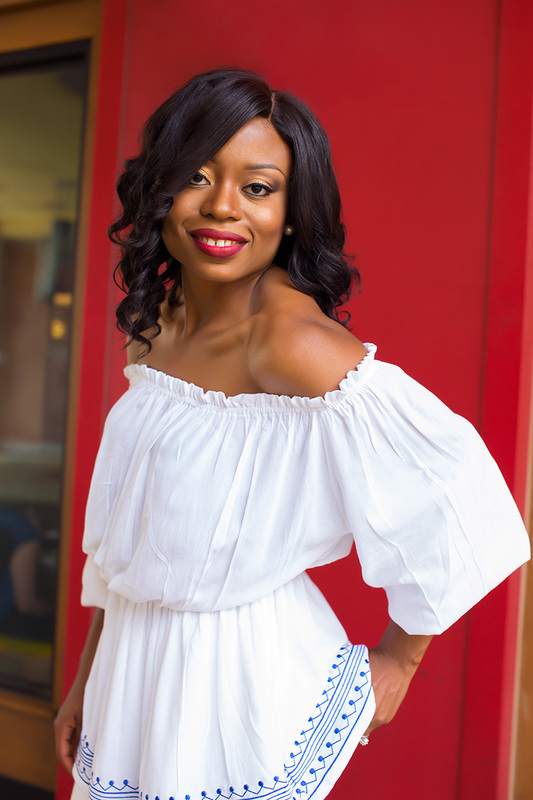 Today’s post is my take on “all-white ensemble”. 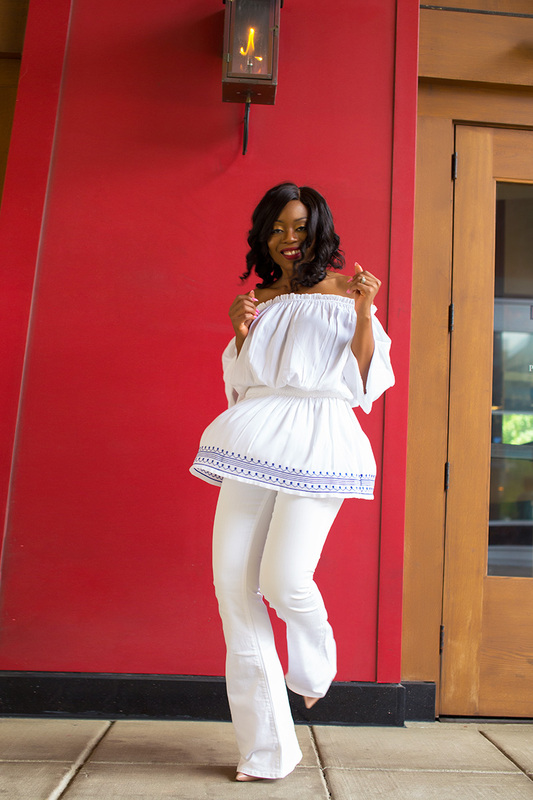 I love white outfits and this flare jeans and off-shoulder ensemble makes my day. I can’t fully describe how much I love the Dittos flare jeans - very soft with a great fit and the length is just perfect. 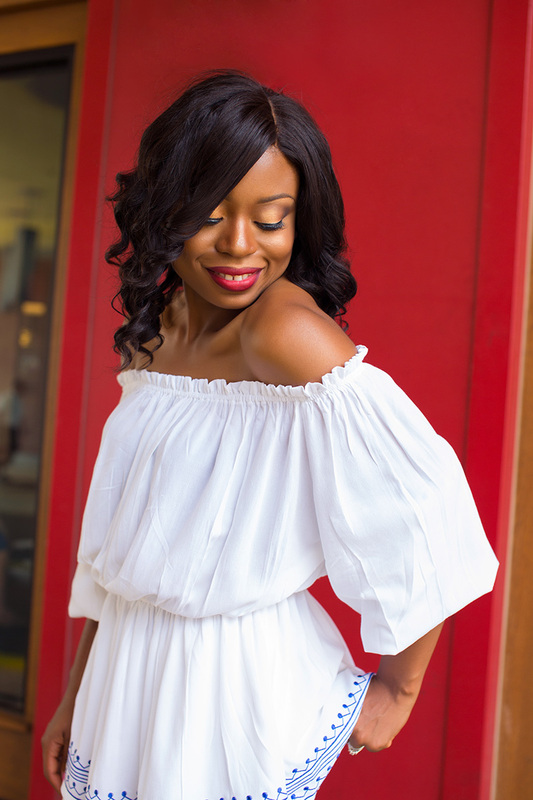 I wore this off-shoulder dress as a top; off-shoulder tops are must-haves for the summer. They look great with gladiator flats for casual outings and you can pair with this white converse which I currently love. Thank you always for stopping by, have a great weekend! Beautifully feminine and chic outfit. 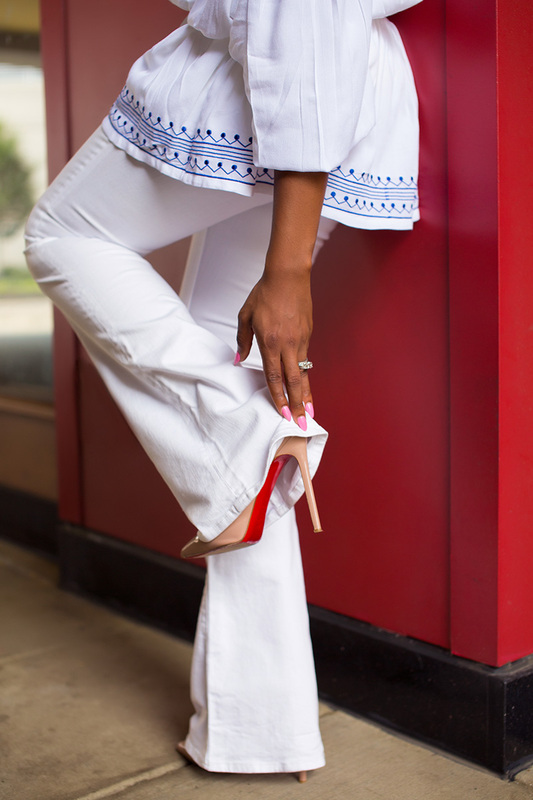 Those flare pants look so flattering on you! Two words:Picturesque and Statuesque.In the second last picture you sure look like a goddess. Such a cute top. Looks great on you! So beautifully done, there is a classy feel to it. The navy detail on the dress is gorgeous, as well as the make-up.